I drove down to the studio through the drizzle. It was the first really cold, creeping fall drizzle; the kind that gives me double chills. First from cold, second from fear of the long winter ahead. My phone had been buzzing all day as one woman after another cancelled her attendance for that evening’s Dance Our Way Home session. I felt dejected as I imagined myself dancing in a nearly empty room. The studio would be cold. I wondered how I would hold space for a warm circle of sisterhood with only two or three participants in the room. 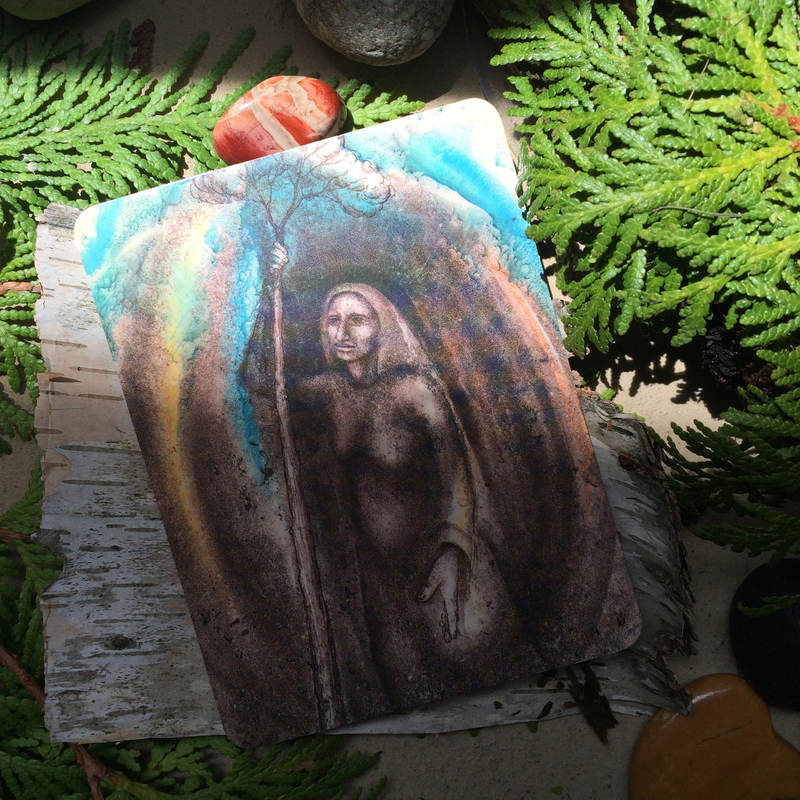 When I arrived, I tried to center myself by drawing a card from the studio’s Doreen Virtue Goddess Oracle deck. Aphrodite. Looking divinely beautiful with her flowing red hair and emerald gown. And just like that, the goddess in me and let out a big yawn, splashed some water on her face, and got down to business. I put on some warmup music and started dancing and setting up the space. The people I had originally expected may not have showed, but others did – one sweet surprise after another. As the dance journey began, the music and the last of a deep fuchsia sunset coming through the stained glass window transported us to a place where we were free, free to breathe deeply, to sigh, to roar and leap and spin and do whatever our bodies needed to do to warm up that late September night. 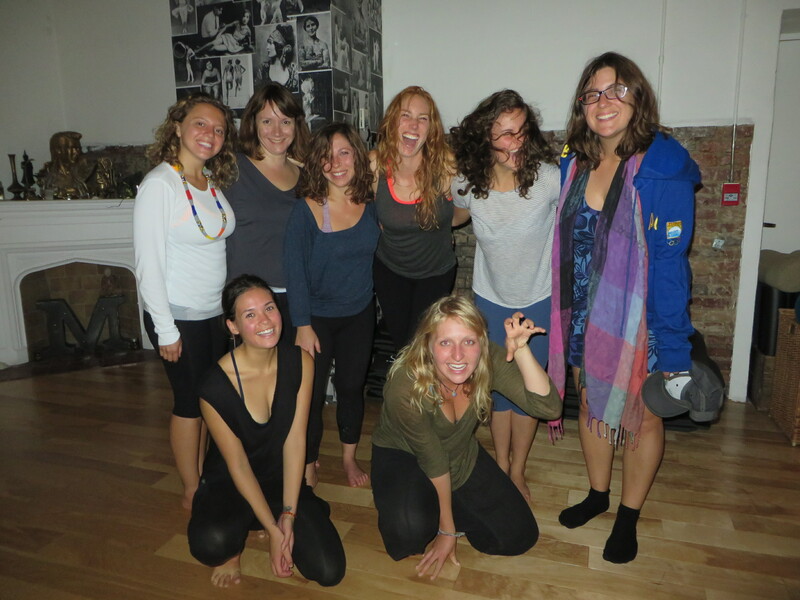 We danced with our inner Wild Women until our faces glowed with sweat and joy. We each embodied Aphrodite in our own uniquely beautiful ways. As I packed away the candles, stones and colourful silk scarves at the end of the night, I was aware of a complete shift in my sense of purpose. 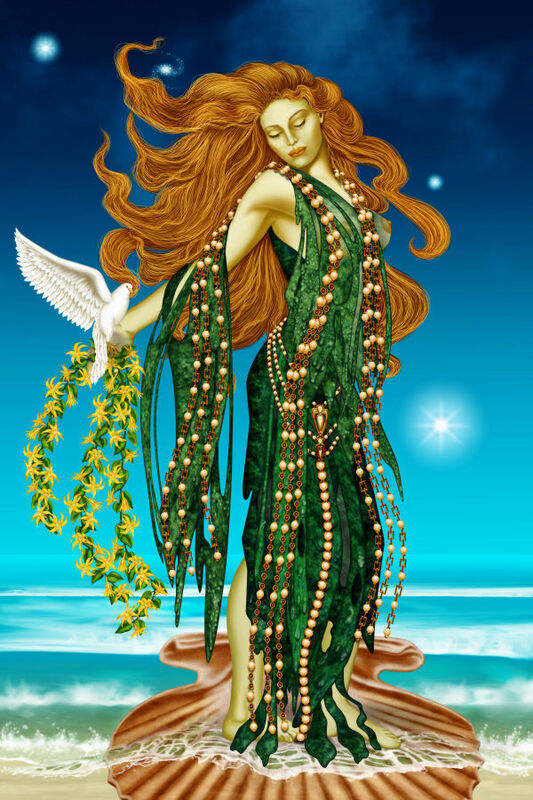 The message on the Aphrodite card was undeniable. Fall and winter are happening whether I like it or not, and the inner goddess does not hibernate. But she also doesn’t spend the cold months shivering, still and isolated. She keeps herself awake by gathering all the other goddesses around her to dance, create, and nurture themselves. And when they come together, even on doubly chilly days, they reflect each other’s radiance. That’s enough to keep us all warm. Since that day, I’ve been all about hosting events to bring women together. From talking circles to a weekly coworking & wellness meetup, fall is full of opportunities to authentically connect with like-minded women and build a sisterhood that will sustain us through the winter. Join me and make sure your inner goddess stays awake!